We have spent some time figuring out what learning style suits you best. This learning style may not be the same for all subject or activities (E.g. How best do you learn in PE? Music? Math? Let’s discuss the differences). We are going to use the 4 different learning styles we have talked about (VARK) to help us learn our times tables. We are also going to look at two methods (one which uses the five senses to help memory, and one which uses your mind like a filing system) to help remember and recall your times tables facts. BUT FIRST…! Let’s figure out WHAT you need to learn! Use this sheet 2, 4, 8, 3, 6, 9, 7 Times tables test and test yourself. Answer all the questions, and when you have had your work checked by your teacher, see the ones that you got wrong (if any!). THOSE ARE THE ONES YOU NEED TO LEARN! No need to learn the ones you already know, right? Once your assessment has been checked by an adult, you then need to choose a learning style. use blocks to makes the times tables and record what you find in your Math journals. 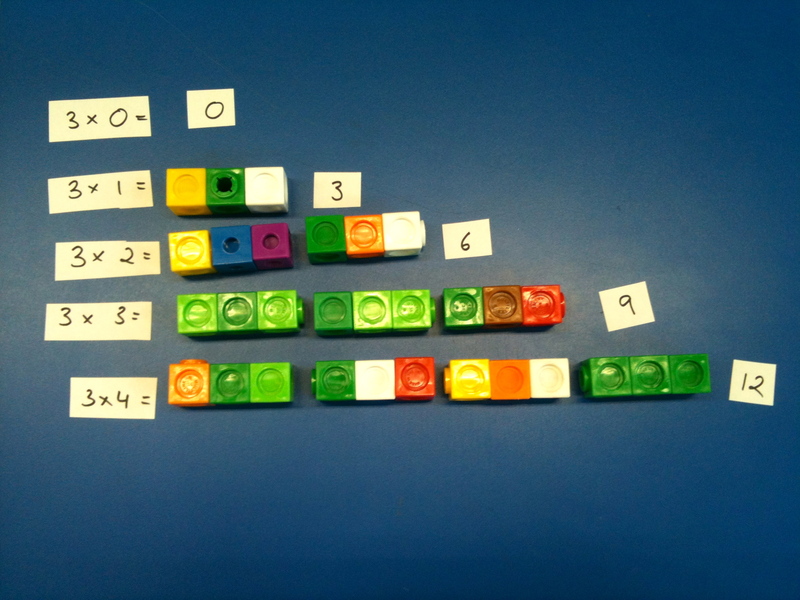 For example – make the whole three times tables out of blocks. Set it out in order. write the answer to the equation and add it to the end of the line.